Why Should You Detail Your Car? Unfortunately there is no standard of quality set, no special qualifications, no certification training or special licensing required to be a detailer. Anyone with a buffer and vacuum can call themselves a detailer. Training, product knowledge and quality standards are up to each individual business owner. Unfortunately for you, most shops just pull a $6.00 an hour young kid off the car wash line, stick a buffer in his hands and tell him to detail your vehicle. At A&K Auto Detail Service, Owner Kevin, a Master Detailer and expert craftsman, with over 20 years of professional experience, either does or oversees every aspect of the shops many services. All of which are Satisfaction Guaranteed. Is detailing just for coastal areas or the wealthy? Absolutely Not! Louisville, Kentucky is one of the hardest environments on a vehicle, due to our diverse climate. Also, you need to realize that you have a serious investment in your vehicle, even though it may not be an expensive automobile. It probably was to You. Detailing your vehicle and keeping it looking like new, protects that investment and also maintains the resale, trade in or lease return value. Not to mention You'll enjoy it more and feel better about it. Automobile dealers have known the benefits of detailing for years. When you see a great looking car, it looks like it has been properly maintained. To a prospective customer, appearance is everything! Even a vehicle with high mileage or mechanical problems that looks good will sell because it still looks like a worthwhile investment. Are you having trouble selling your vehicle? 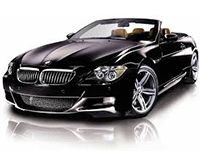 A&K Auto Detailing Service may be the answer. In fact, on the average, the resale value may be increased by a $1000 or more! Definitely a worthwhile investment when considering our great low prices. It is usually when selling a vehicle that most people consider detailing. But, by that time (usually an average of 5 years) the vehicle has too much wear and tear to restore it to a like new condition. That's why we recommend thinking of detailing as a maintenance program the same as changing the fluids, getting a tune-up or rotating the tires. Most people don't realize that in most cases, it is less expensive to replace the engine than to replace a "factory paint job"! We recommend at least 2 to 5 times a year depending on your driving, car washing habits and the storage of the vehicle. Is it parked inside or outside most of the time? Do you wash it every other day or Maybe once a month? How do you wash it? Do you spend so much time in your vehicle that you feel like it's your home? These are just some of the determining factors A&K Auto Detailing Service considers in recommending what maintenance schedule is best for you. Don't forget the Winter months are the most crucial time to detail due to the rapid changes in temperature, road construction, salt and other elements that are especially hard on your vehicles Exterior. Not to mention that the Magnesium Chloride they are using on the roads these days is proving to be even more harmful than we thought to the exposed surfaces of your car. Even though "It's just going to get dirty again anyway", properly applied Wax protection is your only defense! Plus it makes it easier to wash off all that harmful grime. 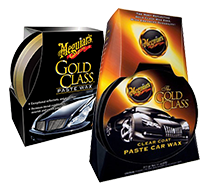 You May have been told by the dealer, your body shop painter, or read it in your owners manual, that with todays clear coat finishes your vehicle never needs to be waxed. This is definantly not the case! All the elements shown at the top of this page can and will permanently scar the clear coat. Washing and properly applied Wax protection is your only defense! You may have already found that those once a year or the last forever sealants (that you may have purchased with your vehicle) that are loaded with silicones and polymers are not the answer. They also can cause a new clear coat to crack or peel. Some of the newer sealants we use Will extend the protection time from a standard wax, but are only recommended on paint at least 1 year old and not more than 3 years old. The length of protection time with both Wax or a Sealant depends on your washing habits. Do you have fine scratches, lines or swirls from washing and drying or perhaps from other detail shops? Have you ever used the scrub brush at the self-serve wash? Does your paint have a cloudy film or oxidation? Exterior Detailing can solve all of these problems and many more. We at A&K Auto Detailing Service are "The Buff Specialists", and with our process we guarantee a mirror finish, free from the swirl marks other less experienced detailers will leave you with. Do you feel like you practically live in your vehicle? Do you have food or drink spills? Do you have children or pets? Do you work out of OR use your vehicle to transport clients? Interior Detailing with A&K Auto Detailing is the answer. We won't leave your car's interior soaking wet for a week and we do not use silicone dressings, like many popular brands on the market, that are used to cover up the dirt and can cause damage to vinyl, leather and plastics. We also don't put water directly on any electronics. We clean it from the Headliner to the compartments. Engine Detailing cleans off dust, dirt and various leaks. It allows your engine to run cooler. Also, when you take your vehicle in for maintenance or repairs, the mechanic can see that you care, so they tend to care more. A&K Auto Detailing Service also offers a wide variety of other services for your vehicles complete Restoration needs: Wet Sanding and Professional Chip and Scratch Repair for the flaws or damage that can't be buffed out. Carpet dyeing for the stains that can't be removed. Tape Pin Striping. Odor Elimination for the smells normal detailing can't remove. 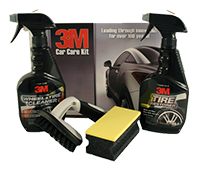 Fallout and Paint Over Spray Removal, Hard Water Spot Removal From Glass, Paintless Dent Removal for those door dings and hail damage etc…, 3M Clear Bras and Window Tinting. Leather, Vinyl and Fabric Repair and Molding Replacement. If you are serious about the appearance, increasing the longevity and maintaining the highest resale value of your vehicle, then let A&K Auto Detailing Service be the answer. Click here for more information on Headlight Restoration. 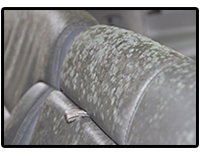 Click here for information on car & truck interior smoke, mold, and the last owner's odor removal . Click Here for Professional Detailing, A&K handles full service detailing for local dealerships as well as customers. © Copyright 1992 - 2019 A&K Detailing All Rights Reserved.